How Can I Get SCRA Verification Without a SSN? HOME > Blog > General > How Can I Get SCRA Verification Without a SSN? 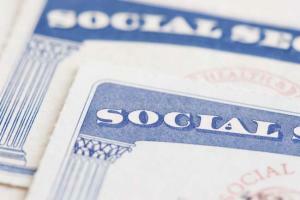 It can be difficult to get SCRA verification without a SSN. Before you can get a judgment from the court, you’ll need to prove the person who owes you money is not on active military duty. The best way to prove this is by getting an affidavit of military service. The Department of Defense Manpower Data Center (DMDC) offers two forms of military status verification. The first is the verification you receive if you provide the individual’s Social Security number. Courts accept this type of verification without hesitation or qualification. However, if you do not supply the Social Security number, it’s a different story. If you have the individual’s date of birth, the DMDC may still provide you with some documentation, but it will come with a disclaimer saying the agency does not guarantee the veracity of the information. Unsurprisingly, courts may not impressed by such documents. Without the proper documentation, your case may be delayed, costing you more time and money. If you don’t have either the Social Security number or the date of birth, the DMDC can’t provide any documentation — even with a disclaimer. One-source resources make your job easier. When you don’t have the proper identifying information, it’s best to turn to a third-party provider such as the Servicemembers Civil Relief Act Centralized Verification Service (SCRACVS). We can often get military status verifications using other information, such as names, addresses, phone numbers, names of relatives, vehicle identification numbers and sometimes even driver’s license numbers. The SCRACVS uses this alternative information to find the debtor’s Social Security number. With this, we then can obtain the certificate from the DMDC without any disclaimer language. The SCRACVS can also supply notarized affidavits — overnight if requested. This is another way that SCRACVS differs from DMDC – DMDC does not provide affidavits. We also provide chat and phone support. Other big differences between the SCRACVS and the DMDC can be found here. The DMDC and the SCRACVS are the only practical resources for obtaining military status verifications. Although it is technically possible for you to write to each of the seven military branches seeking verification, you can wait months for replies, and some may never reply. If you have a court date coming up and need military status verification, rely on the SCRACVS. Going into court without the proper documentation can result in delays at best, and fines and and penalties at worst. To order a military affidavit, register here or log in.